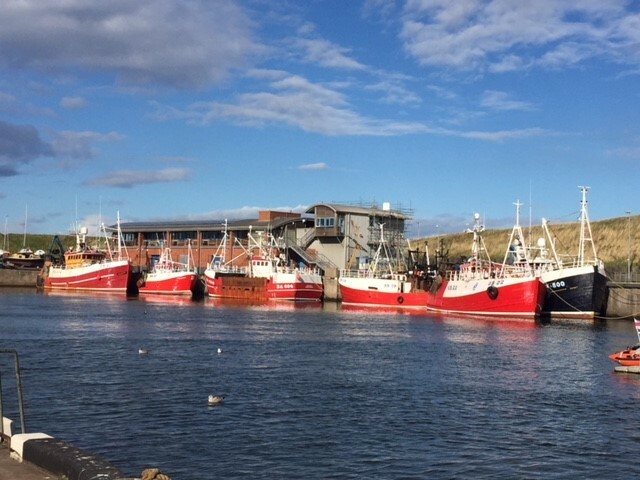 A number of fishing vessels from the West Coast of Scotland and elsewhere are currently working fishing grounds to the North and East of Eyemouth. There is no record of many of these boats having been in Eyemouth previously so for some, it is their first call at Eyemouth. They have been based in Eyemouth and using the facilities for landing prawns, berthing and refuelling. Feedback from the owners and skippers suggests they will be in the region for some time, possibly until Christmas. 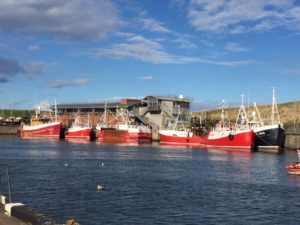 With the new ice plant at Eyemouth opening in the new year, Eyemouth Harbour Trust are keen to welcome newcomers to the port as well as encourage existing customers to make use of the facilities and services available to them. 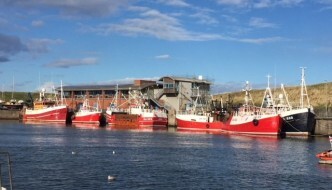 Richard Lawton, Harbour Master commented; ‘It’s great to be able to welcome these boats into Eyemouth. The visiting fleet has been making full use of the deep-water basin and the services we offer, bolstering the local fleet and adding to the viability of the harbour. The new ice facility will further enhance the attraction of the harbour for these boats in the New Year and we hope to continue our partnership with the West Coast fleet, the Northern boats and visitors from further afield.